Horse power is 167@7000rpm and 140 lb-ft@5000rpm. Why would the less powerful euro version be heavier? A lot of the stats on this site seem to be inaccurate but no boby seems to want to address it. I've pointed out several highly questionable stats but they don't get addressed. Oh and I just checked out the stats for the Audi TT S coupe. It's listed as weighing 3069lbs here BUT Audi has it at 3241lbs. I can understand 10-20 lbs BUT 100+ lbs needs to be looked into. 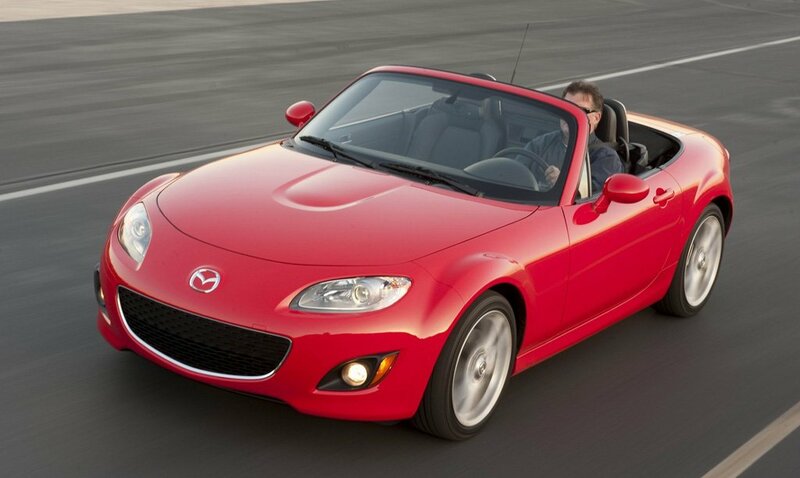 @Dirtdickler yep, according to the October 2011 Car and Driver "Best Handling Car under $40k" test, the MX-5 does have 167 hp. I don't know why this page shows 158 hp, unless it is rated differently in Europe. I'm pretty sure the correct power rating is 167hp / 140ft-lb tq. @GW2xr actually I do greatly respect the Miata and the people who drive them. It is a superb drivers car. On tight autocross courses it can easily match the lap times of more powerful, but heavier cars. It was monkeypop who referred to a reputation the MX-5 has acquired in the U.S., but I doubt that he has any less respect for the Miata than I do. He was just making an amusing comment as a joke. That may very well be true but such a great car deserves more respect. People who've driven them will concure. Lol. I know what Monkeypop is referring to: in the U.S. MX-5/Miatas have a reputation as being extremely popular in the gay community. I spoke with some of my friends who are gay and they say the reputation is somewhat correct. So they have good taste in fun cars, nothing wrong with that. Miatas are very popular among the SCCA community as well, since they make great race cars. Entertaining and reliable. Not enough cargo space and/or room for most people, but as has been stated, an excellent drivers car. I'm going to assume you posted: GAY because people are talking about the MX-5 I’m right? In which case I ask you if you’ve ever thought of seeking treatment for your apparent "small ***** syndrome"? Or is that where the car comes in to compensate? Are you one of those tough guys who uses his car as a status symbol / to impress others and think it will help you pick up women at the local bar? Or are you one of those ignorant dudes who aren’t smart enough to realize test track numbers alone tell almost nothing when it comes to evaluating how nice a car is to drive on a daily basis? obviously alludes to your insecurities and puts you in at least 1 or more of the above mentioned categories? @monkepop: i was goint to say "ignoramus" but instead i'll just ask: Ever driven one at speed? Yeah sort of like an oversized go-cart basically, a lot of fun. 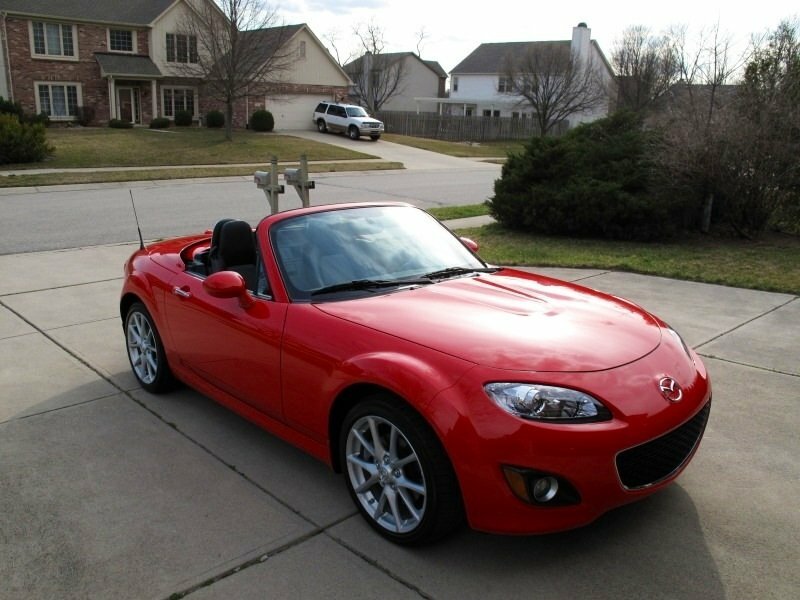 Anybody I know who's interested in buying a sporty and fun to drive car I recommend the Miata MX-5. It's just a shame that some people put mere numbers over just about everything when it comes to sporty cars. I mean can understand if you race your daily driver for a living but otherwise it's not that big a deal IMO. Of course you don’t want a car that’s so slow it’s dangerous but even the MX-5 is plenty quick to get you out of most hairy situations. You also don’t want a daily driver car that’s so powerful you can barely put your foot down without breaking the speed limit without knowing. With a car like the MX-5 you can have a blast running it through the gears without worrying about exceeding the speed limit 30+mph without realizing it. @TheFrank: 131hp and 990kg with some suspension tweaks yet still on quite moddest tyres.. let call it lively and TONS of fun, trust me i know! But yeah the car feels like its packing much more than 167hp. I've driven the new GTI and SI and the MX-5 actually feels quicker. But in reality I believe the GTI/ SI and MX-5 are pretty close in a straight line. Mid-high 6's for 0-60 and high 14's low 15's for 1/4mile. But just driving around you'd think the MX-5 was faster. It feels like it's got at least 200hp. Perhaps if you could add the power without hurting the near perfect weight distribution. Maybe a little turbo / super charger +tune would be good for ~30hp. On another note, I just drove a new 2011' MX-5 - 6 speed manual, hardtop and upgraded suspension today. The car feels A LOT quicker than you would think and of course handles amazingly. Seriously, if you don’t need a lot of space or 4drs and want something fun to drive there isn’t much reason to spend more than around 30k for an MX-4 IMO. It only has 167hp but it seriously feels like most cars with over 200+hp due to its power to weight ratio. Regardless U.S sources (Car and Driver, Road and Track, etc.) have recorded 0-60mph in the range of 6.5-6.9 0-60 and a 1/4 mile in 14.9. 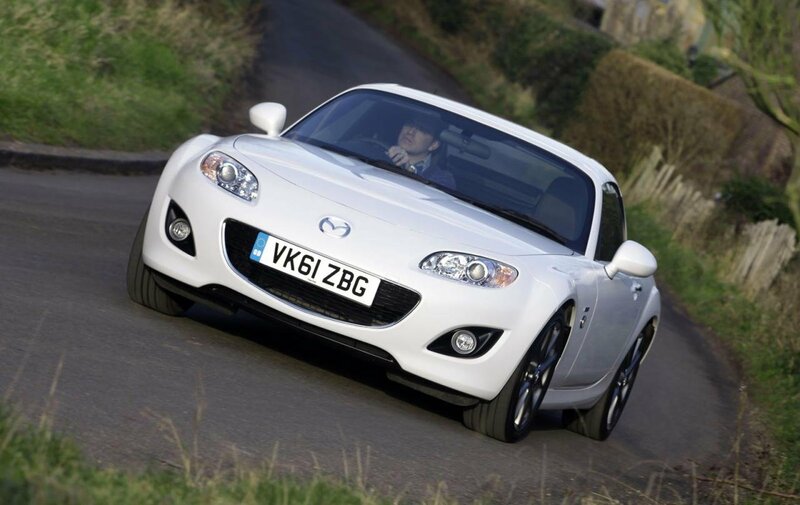 Not that it at all matters because the MX-5 is phenomenal car to drive regardless. 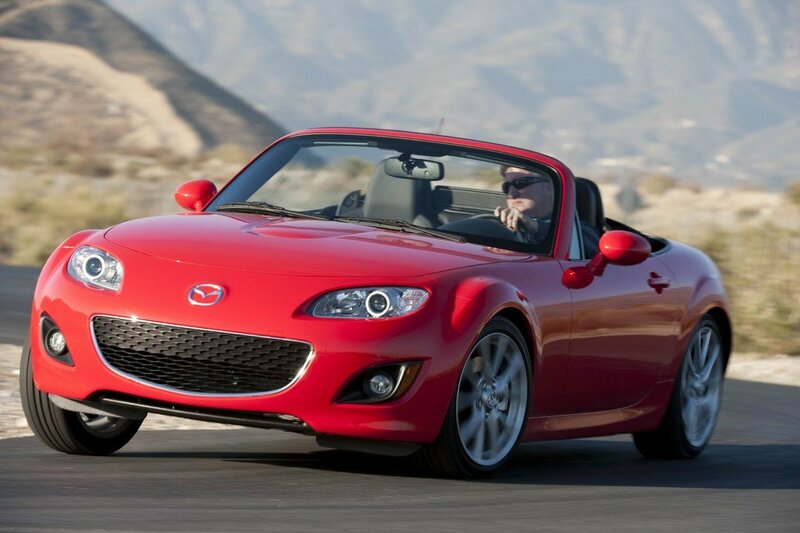 The Mazda MX-5 isn't about #'s it's for people you like to drive. The #'s are just the #'s and nothing more. The MX-5 is more enjoyable to drive than the vast majority of cars out there regardless of lap times. Acceleration times / lap times tell almost nothing when it comes to evaluating how good a car is to drive. The MX-5 is a perfect example of this. Basically the exact opposite of something like a Nissan GT-R for instance (numbers car with little driver involvment. Good for bragging rights and winning races but not much else. pretty good for \"not a sports car\"
At 137hp/ton there is no car with a worse power to weight ratio in the list, not even close. The Civic Si is not that far off but fwd and 2,7seconds slower. 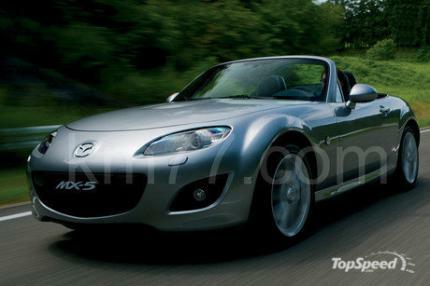 The S2000 is quite a bit more powerfull and rearwheeldrive but its only 1,5 seconds faster than the new facelift NC Mx-5. Good job, but fgs finally make a 200hp version!! !